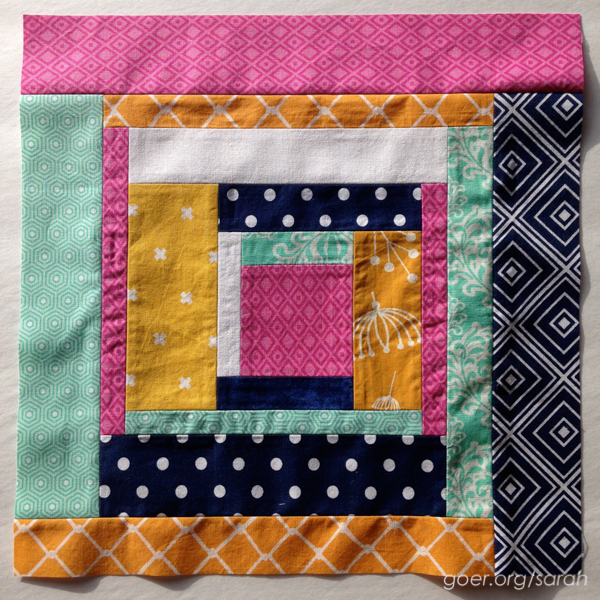 The Bee Hive is a quilt block tutorial series and quilt bee put together by Alyce of Blossom Heart Quilts. There are some great block patterns coming out of The Bee Hive and for our first month Lauren picked the Tic Tac Toe block, which was fun to put together. I didn't take a picture of the signature block I made for her to include on the back of her quilt... 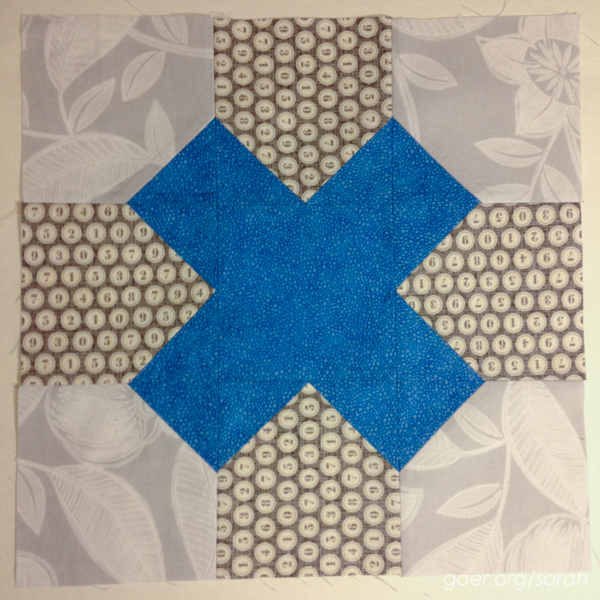 I used some of my leftover bits to make a 4-patch of HSTs and surrounded it with white fabric. I think I may want a better (permanent) pen for writing on quilt blocks/labels. What are your favorites? 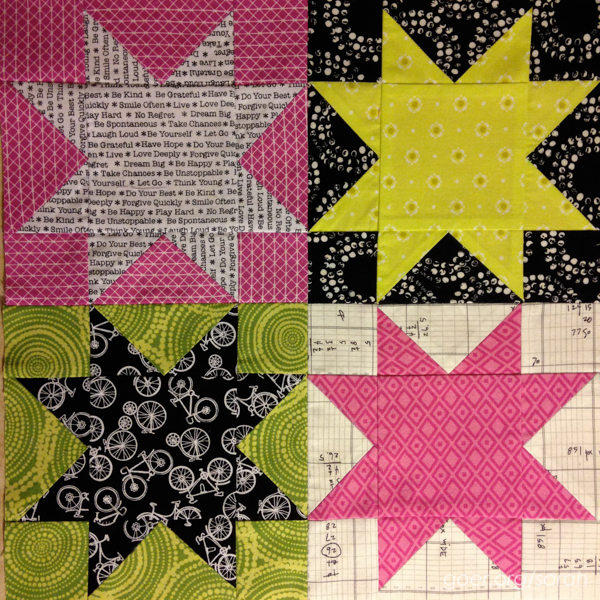 Heather of Modern Parti Quilts joined our circle this month and chose these improv log cabins. While these aren't really my colors (the mustard... I was surprised I even had so many fabrics in this color in my stash! ), I think the project is super fun and will look great all together. We had the option of making these 12" log cabins or making a 12" block comprised of four 6" log cabins. 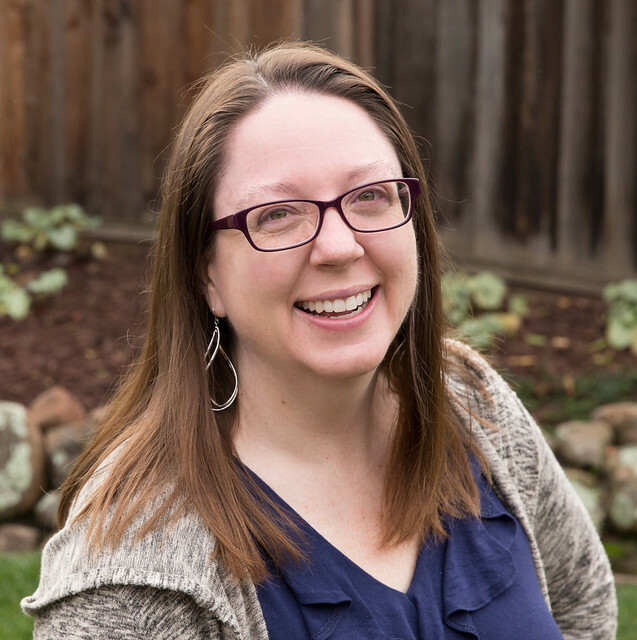 You can see her take on the blocks in her blog post. P.S. I'm loving that navy diamond fabric and looking forward to using it in a project again soon! Linking up to Sew Cute Tuesday and Let's Bee Social. Posted in Quilting. Tags: do. 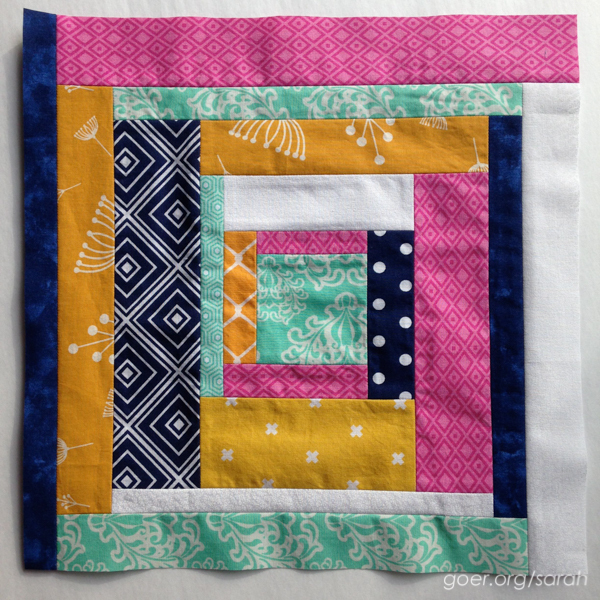 Good Stitches, sewmystash2015, Stash Bee, The Bee Hive on February 24, 2015 by sarah. That Tic Tac Toe block is fun and I really like your stars. Especially the one in the lower left with the bikes. Love that block! Thanks so much, Rachel! I love the bikes too. The Tic Tac Toe block was great in that it came together really quickly. It certainly looks like you have been busy as a bee! I am making sawtooth stars each month for myself this year, so I really notice them when they pop up! I love your bright log cabin too! I have also wondered about a better pen...I have always just used a super fine sharpie. Busy... but I'm really loving being in the bees. I like how it pushes me to make block patterns or use color palettes that I wouldn't have otherwise used. I use micron pens for labeling. I think I might just need to play with thickness of the pen. Your sawtooth project sounds like a good pace... working on it monthly. I find them a little picky to make. I really liked the "fast flying geese" technique I used last month in my stash bee block. Thanks for visiting, Sarah.